We are entirely dependent on volunteers and receive no official funding. Get in touch if you want to get involved, become a supporter or make a donation. You can stay in touch by subscribing to our mailing list, following us on Twitter or liking us on Facebook. All supporters will receive copies of our Wandle Bulletin - subscribe to our mailing list to be added to the circulation. 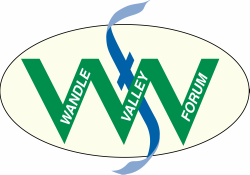 Our email is wandlevalleyforum@gmail.com if you want to get in touch..